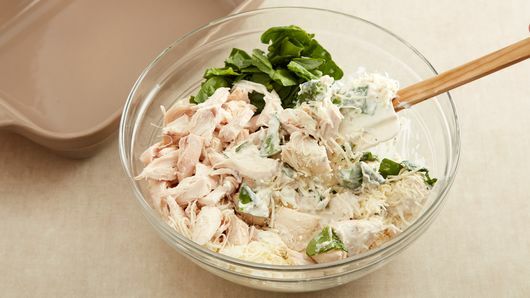 In large bowl, mix spreadable cheese, Caesar dressing, water and pepper with whisk. 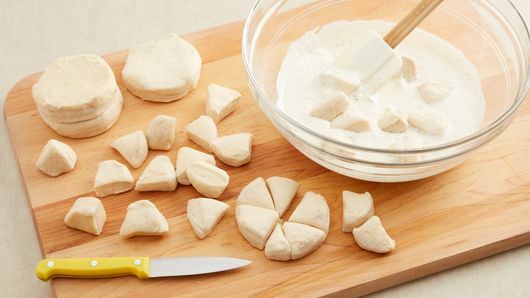 Separate dough into 8 biscuits; cut each into sixths, and add to bowl, mixing until incorporated. 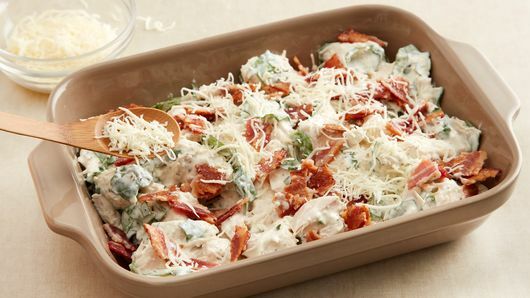 Add chicken, half of the bacon, the spinach, and 1 cup of cheese to the biscuit mixture; fold in until mixed well. 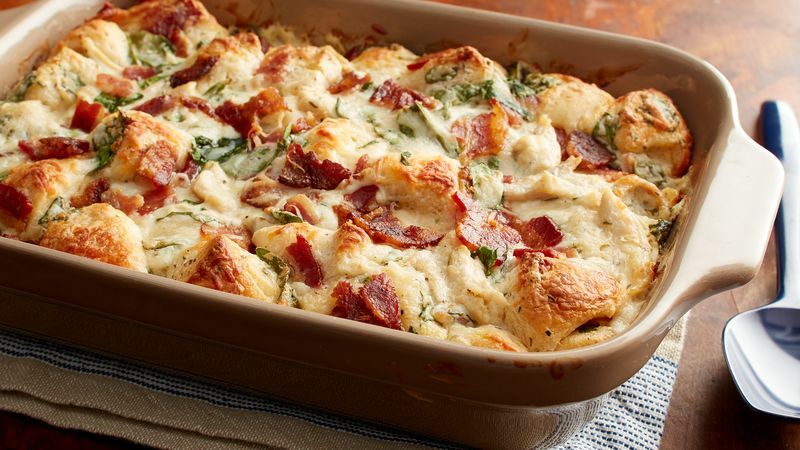 Spoon mixture into baking dish; top with remaining 1 cup cheese and remaining bacon. Bake 33 to 37 minutes or until deep golden brown and biscuits are baked through. Top with sliced green onions or shredded Parmesan cheese, if desired. A fresh Caesar salad is a great addition to this meal.